Are you tired of yelling at your children out of frustration and feeling powerless? Do you get triggered and lose your ability to interact with your children or partner according to your values? Are you frustrated because you don’t know how to respectfully get your children to do what you want them to do? Do you sometime feel like a failure as a parent because of the ways you act with your children? Are you frustrated because your partner doesn't seem to understand you? Are you tired of the adversarial interactions in your home? 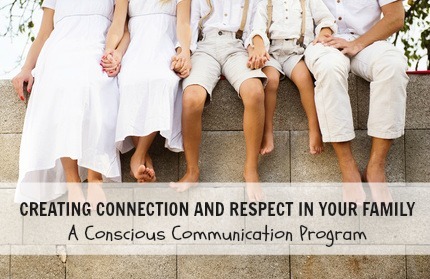 Are you concerned about how your relationship with your partner is impacting your children? have a way to communicate with your family that actually WORKS? be able to know why your child is acting the way he is - and then know what to do about it? learn how to use NVC in a way that sounds authentic and natural? stop being being afraid when conflict arises because you have the tools and skills to deal with it? be able to enjoy and be present with your children and partner because you’re no longer spending your time trying to figure out how to handle situations? finally be able to have YOUR needs met while also also taking care of your children's? get clarity on why you get triggered with your spouse or child, and have a effective way to address it? have created a Program just for you! How to communicate so your children and spouse (and even mother-in-law!) will WANT to listen to you. How to be more resilient in challenging situations. How to come up with win/win situations that work for everybody. How to create an atmosphere of cooperation in your home. One almost universal mistake that causes children to be uncooperative. The #1 question to ask yourself when your child misbehaves that can diffuse negative situations instantaneously. A surprising truth that will open up lots of new doors for you. How to assert what you want while respecting your child. How NVC fits with the concept of being a leader as a parent. THE fundamentals of effective communication. How to communicate effectively, even with toddlers. Answers to questions about the specific situations you most struggle with. A simple and effective tool that you can use whenever conflicts flare up. A short list of core children’s needs which are most likely underneath your children’s behaviors. A way to practice at home so you can integrate what you’ll learn. An invaluable set of worksheets and handouts which you'll know how to use whenever needed. A tangible set of the skills and tools that you can use in your family right away. A community (Facebook group) where you'll be able to get all your questions answered. A system with specific directions to practice your new skills with other participants, throughout the program and beyond. Once the program is completed, you'll be added to Carolyn's Facebook group where you can continue to receive communication support, schedule and practice with other members and have access to periodic Q & A calls. You also have the option to add a COACHING PACKAGE, four 1 1/4 hour sessions with Carolyn and/or Eliane (value of $625) to the program to do get some individualized support and integration. Cost of the basic program is $297. There is also an option of adding four 1 1/4 hour sessions Coaching Package with Carolyn and/or Eliane (value of $625,) for a total cost of $897 if you want to deepen into the principles and/or do some healing work on what arises throughout the program. A 3 month payment plan is available for this option. Program starts on Sunday February 1st, and every 2 weeks thereafter till March 15th (additional dates: 2/15, 3/1 and 3/15) at 11:00 am US CDT, 5 pm UK time. An active Facebook group is an integral part of the program. Carolyn and Eliane will provide you with feedback and answers to your questions, until a week past the program. You can share and connect with your fellow participants throughout the program and beyond. Email me at Eliane@ParentingForWholeness.com or call me at 630-887-6654 if you have any questions. 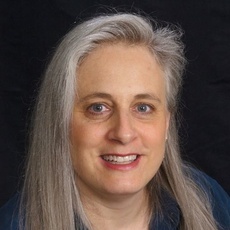 Carolyn Blum, MS, helps business and individual clients to transform the frustration and overwhelm of conflict into effective and connecting collaborations. During her 20 years as an engineer and program manager working with corporate clients, Carolyn became aware of her passion for helping people to understand each other. In 2007 she began an intensive program of study in mediation and conflict coaching based on Nonviolent Communication (NVC). In 2013 Carolyn co-facilitated a year-long NVC Mediation Immersion Program in Essex, MA. 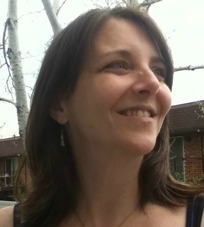 Carolyn has a private coaching and consulting business based in Chicago, IL. Eliane Sainte-Marie's greatest accomplishment has been raising 3 thriving daughters who have an unshakable sense of self, are self confident, inner motivated, self sufficient and know how to find their own happiness in the world, She founded Parenting For Wholeness to help other parents have in their families what she has in hers. She helps parents raise their children to grow up whole and have ease, harmony and joy in their families while doing it. She also helps parents heal and clear what's preventing them from parenting in alignment with their values.